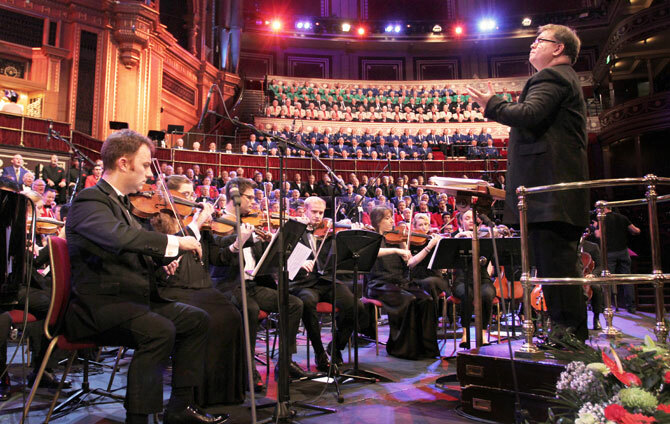 The Royal Welsh College Symphony Orchestra made its debut at the Royal Albert Hall on Saturday 15th October as part of the 25th London Welsh Festival of Male Voice Choirs. 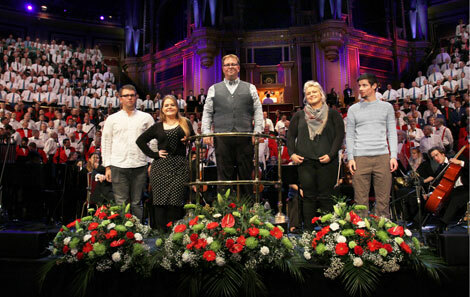 800 voices from 13 choirs from around the world joined the London Welsh Male Voice Choir to form the festival choir, accompanied by the College’s Orchestra. The guest soloists all studied at the Royal Welsh College. Jessica Robinson is currently studying for her MA Opera, and Rhodri Prys Jones, Meilir Jones and Eirlys Myfanwy Davies are all graduates. And of course the whole event was presided over by Masters Choral Conducting alumnus, Edward-Rhys Harry.